Hi my name is Gypsy Hart. I am passionate about my business Island Healing and my philosophy of care in providing spiritual and holistic wellness on Vancouver Island B.C. 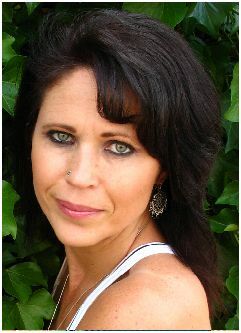 I received my certification as a Holistic Practitioner from Wild Rose College in Alberta, Canada. I am here to educate and empower individuals towards greater health, well being and harmony with the earth and each other - through spiritual and holistic healing. Please see below for a full list of treatments. Chakras are like the power stations of our body, bringing it to life, and keeping it healthy. Each chakra is associated with different parts of us and they need to spin totally in balance for us to feel good. Hot stone therapy has become one of the most sought after treatments to help reduce stress and create a totally holistic effect. It works on the mind, body and soul to produce a deeply balancing effect. Balancing your chakras improves your health and well-being, physically, mentally and emotionally. Chakras are wheels of light located all over our body. We have thousands of them, but the seven major ones are located along our spine from its base to the crown of the head. Each chakra is represented by specific gemstones and crystals and a colour of the rainbow - red, orange, yellow, green, blue, indigo, violet, and is associated with different body parts, emotions and life areas, so in balancing each chakra, you will be giving energy and help to any issues or problems you have. The chakras absorb energy that comes from our thoughts, feelings and outside environment and feed this to our body. Our body is affected by the quality of the energy that passes through the chakras. For instance, if we have negative feelings, we will be filtering negative energy through our chakras and into our body. Over time this can make our body ill.
Our chakras also absorb energy from the environment. Other people's negative emotions or a room full of clutter will produce an unhealthy energy which we absorb. We cannot completely avoid coming into contact with negative energy or feeling down sometimes, but there is alot that we can do to change our feelings from negative to positive and to protect ourselves from harmful energy in the environment. Chakra balancing is a bit like spring-cleaning the chakras. This fine tuning can improve your health and help you feel really good about yourself. I promise to use it only to send you Chakra Time. Curious how I made this site? I know you are.... Alright, go have a look then..... Solo Build It! Copyright © 2012-2015 www.chakra-lover.com All rights reserved.